This chapter describes the roles of information technology (IT) and knowledge management (KM) in global tourism, thus explaining the theoretical and practical overviews of IT, KM, and global tourism; the significance of IT in global tourism; and the significance of KM in global tourism. The fulfillment of IT and KM is vital for modern organizations that seek to serve suppliers and customers, increase business performance, sustain competitiveness, and accomplish continuous success in global tourism. Therefore, it is necessary for modern organizations to promote their IT and KM applications and establish a strategic plan to regularly examine their advancements toward satisfying customer requirements. 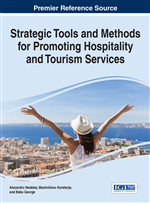 The chapter argues that applying IT and KM has the potential to increase organizational performance and gain sustainable competitive advantage in global tourism. Since the early 1970s, scholars have contributed their talent and intellect toward the establishment of the next generation of hospitality and tourism professionals (Zopiatis, Theocharous, & Constanti, 2015). Due to the increasing diffusion of Web-based technologies, Internet represents one of the most employed sources for customers to gain the information about products and services (Pantano & Di Pietro, 2013). ICT refers to any product that stores, retrieves, manipulates, transmits, and receives the digital data (Buhalis, 2003). Buhalis (1998) indicated that the rapid development of Internet provides the economic opportunities for tourism marketing. As an information source, the Internet has many benefits in terms of accessibility, convenience in updating information, and interactive communications (Bonn, Furr, & Susskind, 1999). Such features make the Internet the unique information source (Castaneda, Frias, & Rodriguez, 2009). Many researchers (Boudreau, Loch, Robey, & Straub, 1998; Griffiths & Finlay, 2004; Stewart, 2007) emphasize the impact of IT investment on organizational competitiveness. Investments in IT have a positive impact on organizational performance (Barua, Kriebel, & Mukhopadhyay, 1995; Hitt & Brynjolfsson, 1996). The purposes of IT investment are to improve organizational performance and to gain competitive advantage (Mahmood & Mann, 1993; Ragowsky, Ahituv, & Neumann, 1996).